Instead of asking for permission maybe we should be demanding the end of victimization by the state for exercising our rights. The group of people calling themselves government has no inherent or legitimate right to prevent us from doing anything to ourselves that may or may not cause us harm. We do not have the right to cause harm to others. Ironically, this group calling itself government usurps our rights by committing violent acts against us should we disobey their rules. 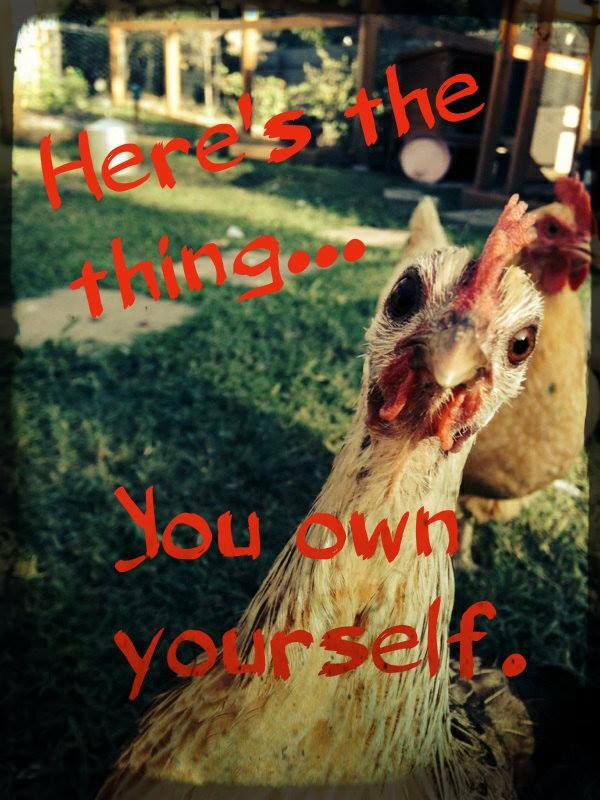 Who owns you? This may be an odd question and the answer would seem quite obvious that you own yourself lest you be a slave, right? Well, think about it. If you truly lived free would you ask anyone for permission before you engaged in an activity? Why would you? You are not harming anyone and if your intention was to cause harm to someone you certainly would not adhere to the ‘rules’ anyway. Theft is immoral. This also seems obvious but yet it is justified when the theft is committed by people who call themselves government and where you have no decision in where your stolen money is redistributed. I mean, how silly is that anyway? If a thief came into your house and stole your goods are you going to demand he use it for something to which you consent? Kidnapping and murder are immoral. Well duh, right? But do you realize that it is committed by ‘legitimate’ authority all of the time? For example, if you do not ‘pay’ your taxes you will be fined heavily, you may have your property stolen (bank account seized), and if it escalates you could be kidnapped (arrested) and thrown into a cage (incarcerated) for not ‘voluntarily’ paying money that a group of people have claimed a right to. This sounds more like extortion. Or perhaps you engage in an activity that is considered illegal. It does not harm anyone else yet you still take a chance that authority will victimize you if you are caught. If you disobey any of the rules many horrible things could happen to you by so called authority. As disturbing as it is, there are many people who will defend these actions. Remove the costume and gun then what do we have? A person like you and me and if we commit such violent acts upon our neighbor we will face severe consequences while ‘authorities’ act with impunity. More disturbing than the group of people calling themselves government commanding such violence is the number of people who accept their positions as legitimate and will follow orders going against principle or morality. You own yourself. Repeat that and think about what it truly means. Free people do not ask permission from others. Free people are not victimized by illegitimate authority figures. Free people are not ruled by others.Before true liberty can be realized you must know that you own yourself. There is no freedom for the people until there is freedom for the individual. Freedom cannot be legislated. You cannot grant rights to others that you yourself do not have. Authority subsists because people believe in it. It is a relationship construct that manifests by submissive figures. You cannot believe in and accept authority of the state as legitimate while simultaneously claiming to own yourself. This entry was posted in Opinion, Uncategorized and tagged authority, disobey, freedom, Liberty, live free, reject authority. Bookmark the permalink. Government Bad. Need Muh Government.